It sounds like one of those goofy Black History Month blog posts put out by an activist — hey, did you know the inspiration for the Count of Monte Cristo was really black … and his name was Alexandre Dumas? The first thought that crossed my mind while reading The Black Count— the fascinating new book by Tom Reiss — was why the heck hadn't anyone written a major biography of General Alex Dumas before 2012? This was immediately followed by "Why the heck do we have Black History Month if it's not going to uncover and publicize this man's story?" 1. A group of Americans on a diplomatic mission to reach out to Muslims are pinned down by al Qaeda and come under overwhelming fire. 2. They repeatedly call for support fire mission, which are denied because they cannot absolutely guarantee no civilians are in the area. 3. A frustrated American warrior disobeys orders to go on what appears to be a suicide mission to try to save them. 4. 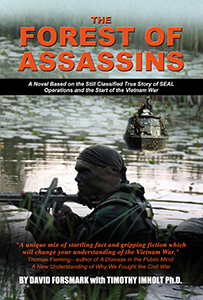 The pinned down Americans are wiped out because supporting fire missions are denied them. "Life isn't fair," we patiently explain to our children, unschooled in the ways of the world. By the same token, conservatives try to explain to liberals that they can't make life fair with other people's money. "Fairness" is the new mantra of President Obama to justify his economic policies and attack those of his opponents. His critics mock that's all he's got because his redistributive policies have failed so miserably. But in The Road to Freedom: How to Win the Fight for Free Enterprise, a timely and important new book, Dr. Arthur C. Brooks, president of the American Enterprise Institute, says defenders of a free economy can — and should — win the fight for free enterprise on the basis of "fairness," too. The number is not important to me. I only wish I had killed more. Not for bragging rights, but because I believe the world is a better place without savages out there taking American lives. Everyone I shot in Iraq was trying to harm Americans or Iraqis loyal to the new government. I had a job to do as a SEAL. I killed the enemy — an enemy I saw day in and day out plotting to kill my fellow Americans. I'm haunted by the enemy's successes. (emphasis mine) They were few, but even a single American life is one too many lost.